It’s not a new phenomenon that foreign media coverage of the Middle East tends to exaggerate. Take Israel, for example. In America, major news networks have fueled Americans’ perceptions that Israel is in a constant warzone, that Israeli citizens are afraid to leave their homes, that a terrorist may strike or a rocket may hit at any moment. While these reports are certainly not unfounded, one can usually balance the hyped-up international media coverage by tuning in to local media outlets to get what are generally more toned-down, realistic accounts of what’s happening on the ground. It seems, however, that in recent years this has not been the case in a region and in a country thirsting for headlines. Last week, Dr. Haim Shine, an Israeli lawyer and law professor wrote in an Israel Hayom op-ed that, “The Israeli media’s threats are more frightening than those of Turkish Prime Minister Recep Tayyip Erdogan, Palestinian Authority President Mahmoud Abbas and Hamas Prime Minister Ismail Haniyeh.” Shine accused the Israeli media of becoming harbingers of bad news, to the point where, he suggested, the media thrives only on threats. “Every time media commentators learn that what they described as a major threat has become trivial, they move on to the next threat,” Shine said. This was reflected in the Israeli media’s coverage of the nationwide housing demonstrations before and after the August 18 terror attack near Eilat. Coverage of the social protests painted a picture of a discontent and angry nation that took to the streets in masses, demanding reforms, in what several reporters referred to as the Israeli version of “Tahrir Square.” News outlets spoke of one of the largest social protests in Israel’s history (the latest social protest in early September was even bigger) Newspapers tried to convey the immensity of the demonstrations by splattering turnout numbers across their front pages. Some commentators even suggested the Netanyahu government was approaching its end. But then, in one fell swoop, coverage of the social protests dropped like a hot potato. After a double-pronged terror attack left eight Israelis dead in the South of the country, stories of tent protesters expressing their ire at the “capitalist system” and at the Netanyahu government were relegated to the second half of the news lineup, if they were mentioned at all. Commentators abandoned the prospects of Netanyahu’s downfall and shifted their focus to the increasing terrorist threat lurking at Israel’s backdoor in the Sinai. This is not to say that the social protests were more important than the terror attacks. Quite the opposite. It’s obvious that a terror attack will almost always top headlines – no matter what else is happening in the country – as it should. But it’s how the media dealt with the attack in the days that followed that showed just how hungry Israel commentators and reporters are for doomsday scenarios. The fact of the matter is that, according to Israeli media, the country is always on the brink of something bad. On the brink of war. On the brink of an intifada. On the brink of being struck by rockets. On the brink of social unrest. On the brink of a government collapse. On the brink of being attacked by Iran. On the brink of a diplomatic crisis with Turkey. Or with Egypt. Or with the U.S. If we were to always get caught up in what the Israeli media says, we would forever be doomed to living on the brink`. Because Israeli media never allows us a calm moment. As Haim Shine suggests, when commentators perceive that one threat will flop, they quickly jump on to the next threat. This “living-on-the-brink” approach to what’s happening in Israel and in the Middle East often makes things appear much worse than they really are. It gives Israelis a sense that something is always hanging over their shoulders, even when things are relatively calm. 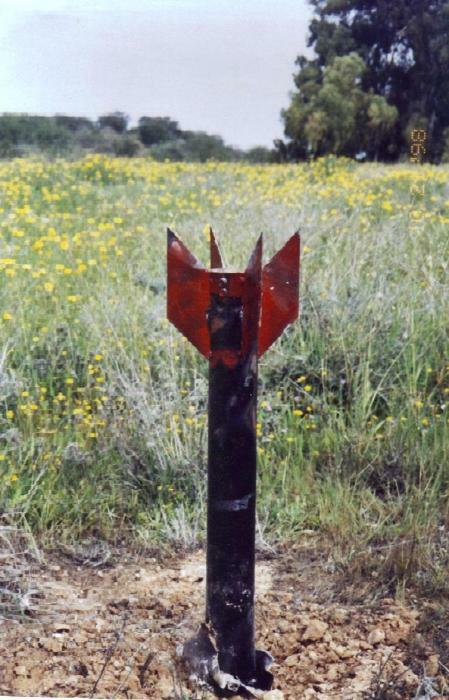 After the terror attack near Eilat and the spate of rocket strikes that followed, Israeli news headlines appeared saying, “More than a million Israelis under rocket threat from Gaza.” This threat is certainly not new – Israelis in the South have had to contend with it for years. But Israeli media, unable to give its audience a respite after the terror attack, reminded us that after we killed the terrorists and buried our dead terror victims, it didn’t end there. One million of our citizens were still “on the brink” of being hit by rockets. Daily headlines in the country’s newspapers do more to scare foreigners away and keep Israelis panicked than the actual news itself. So, basically, Israel is on the brink of being attacked by suicide bombers and Turkish fighter jets. It is at risk of further isolation and punishment by the Hague for its policies. And the Palestinians want a Jew-free state. Sounds like heaven. To be fair, what country’s media sources don’t chase after news like this? But in Israel, the media pushes this to new extremes. Take the report appearing in almost all Israeli news outlets on Tuesday and Wednesday about how Turkey has installed a new “friend or foe” identification system in its aircraft that doesn’t automatically identify Israeli planes as “friendly.” Under the former American system that was installed in the Turkish jets, Israel and other member countries were identified as “friendly” and were therefore protected from Turkish fire. Israeli media seized on this report and right away turned it into a imminent threat: Turkey is now preparing its jets to be able to attack Israeli planes. What’s interesting is that local Israeli media, not just foreign media looking in from the outside, is perpetuating perceptions of people here living in fear and unrest all the time. The bottom line is: Israeli media should not be making the situation worse than it is in a country already drowning in a sea of problems. This is why so many people are turning to citizen journalism these days. Corporate media is simply looking to sell and, unfortunately, informing has become only a secondary priority.